Equipment such as: Overband Magnets, Eddy Current Separators (ECS), Metal Separators and Magnetic Drums, for the recovery of ferrous and non-ferrous metals. From the 14th to the 18th of May 2018, Eriez Europe will be exhibiting at IFAT, Europe’s leading recycling exhibition in Messe Munich, Germany, on Stand 439, Hall B5. Visitors will have an exclusive look at the new compact TPI Suspended Permanent Magnet model and the RevX-E ST22 Eddy Current Separator. Eriez has focused recent developments on producing higher gradient multi-pole magnet blocks coupled with more compact, lighter weight and streamlined self-cleaning arrangements. The newly-designed Suspended Permanent magnet is lighter than a standard Eriez suspended magnet, yet offers comparable performance in achieving the highest levels of metal separation. 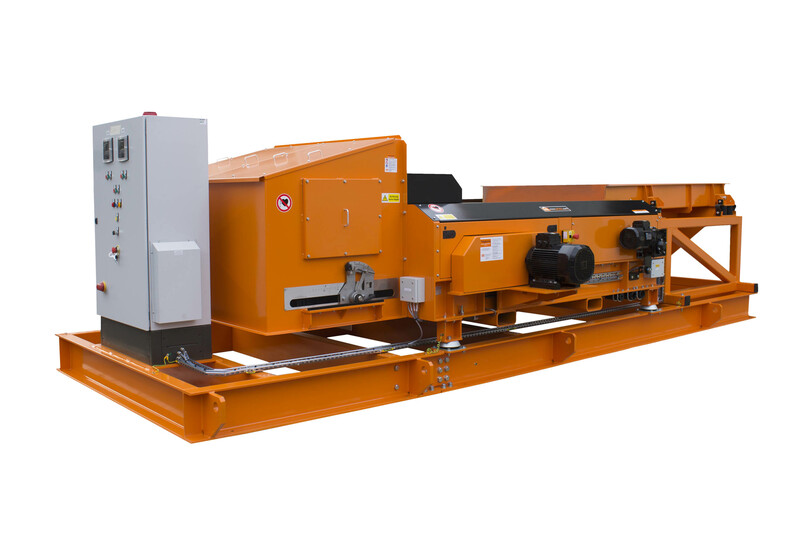 The slimline, compact design features an internal frame simplifying the belt change process and is ideal for mobile crushers, shredders or screeners. Eriez’ Eddy Current Separator provides an economic and efficient solution for the recovery of non-ferrous metals. The high-performance RevX-E ST22 Eddy Current Separator is capable of recovering non-ferrous particles as small as 1mm from multiple processes such as biomass, scrap metal, aggregates, IBA, SRF, RDF, glass recycling and PET flake. The team will be on hand at IFAT to offer demonstrations and answer any questions visitors may have regarding metal separation solutions.